Normally, the garden goes dormant after the fall harvest, but NOT THIS year. 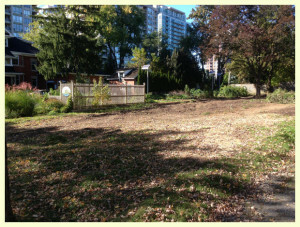 Our garden will be growing all winter. 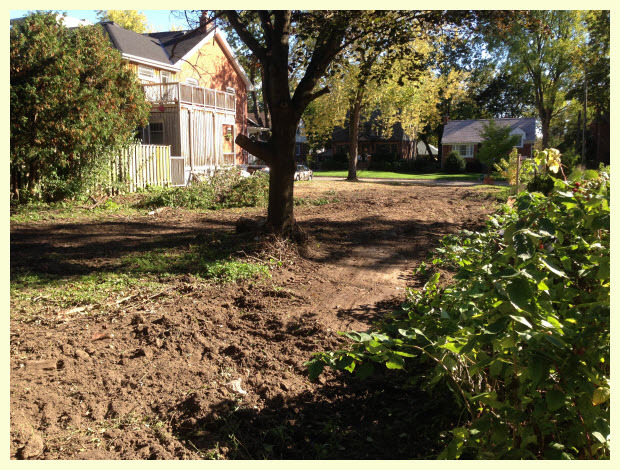 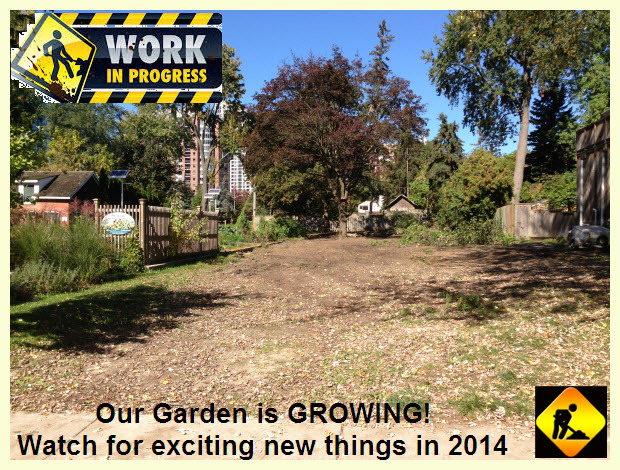 The Parkview Neighbourhood Garden expansion is underway. 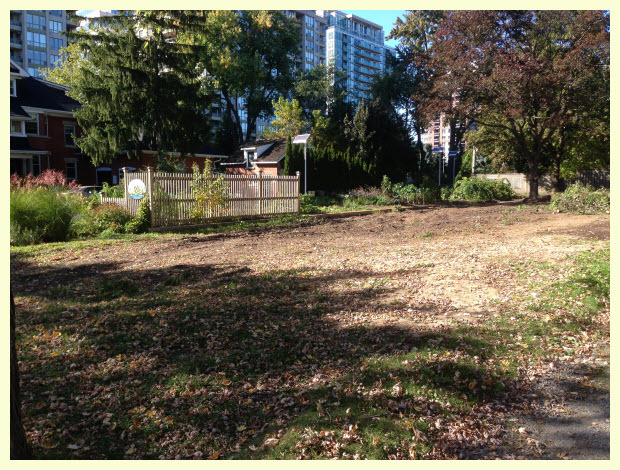 Thanks to the City of Toronto and huge support from our Councillor John Filion, we are able to expand to the lot where 46 Parkview stood before being razed. 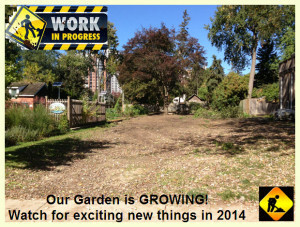 So, watch our Facebook page and www.parkviewneighbourhoodgarden.org for Garden Expansion news.